Premier Meat Company prides itself on providing pork raised on small family farms. Learn how quality of care affects quality of meat. and raised with no hormones or antibiotics. Never Ever. 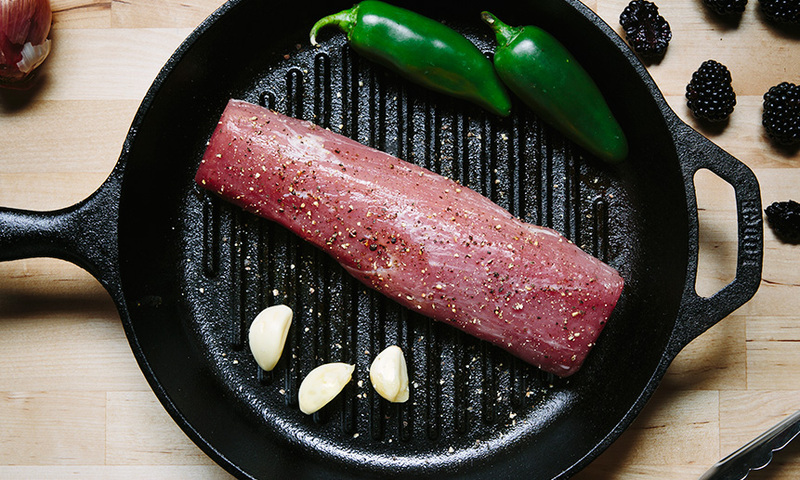 The sweetness from the blackberry and the bite from the Jalapeño give this tenderloin an Asian influence reminiscent of BBQ pork. The more you baste the better it tastes. We Know What’s For Dinner. Elevate your dinner table with Premier Meat Company’s assortments featuring all natural pork. Now, all natural pork that was once only available to top restaurants in the industry is available to be delivered to your home.